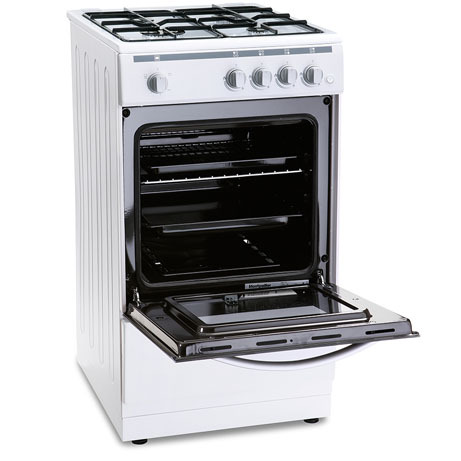 This Montpellier Gas Cooker is a single cavity 50cm cooker with built in grill. Featuring 4 gas burners with enamel pan supports, this cooker is perfect for those who prefer the burners. 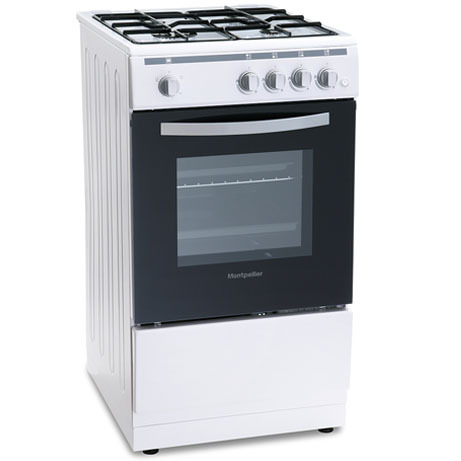 Finished in white and with a 2 Year Guarantee, this simple but effective cooker stands up to the competition.